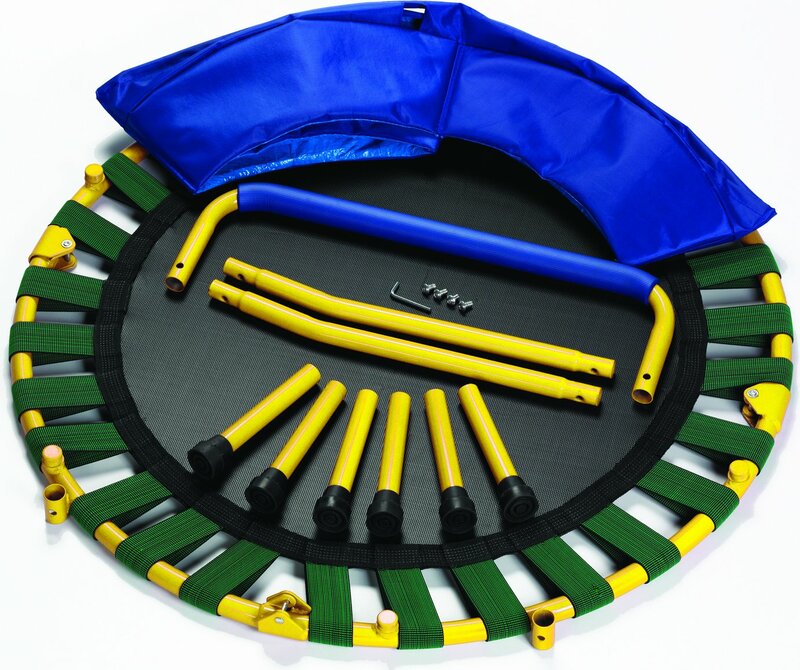 Fold and go toddler trampoline can be used aged 3 years and up. Very handy to carry while traveling, or stored if the kids are getting bored with the trampoline. 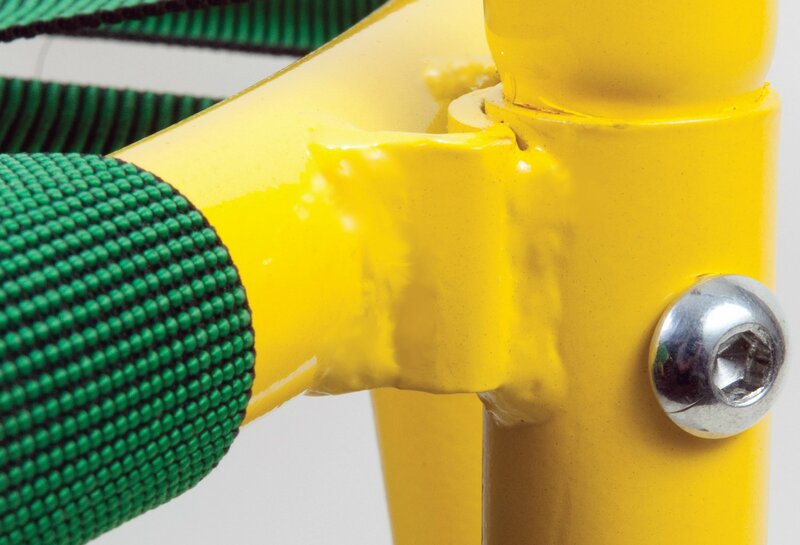 How to install the trampoline is very easy, Simply open the frame, screw on the legs, bolt on the handle and ready for use. Instructions and tools included. Easy to store when not in use, just open the legs and remove the handle bars. 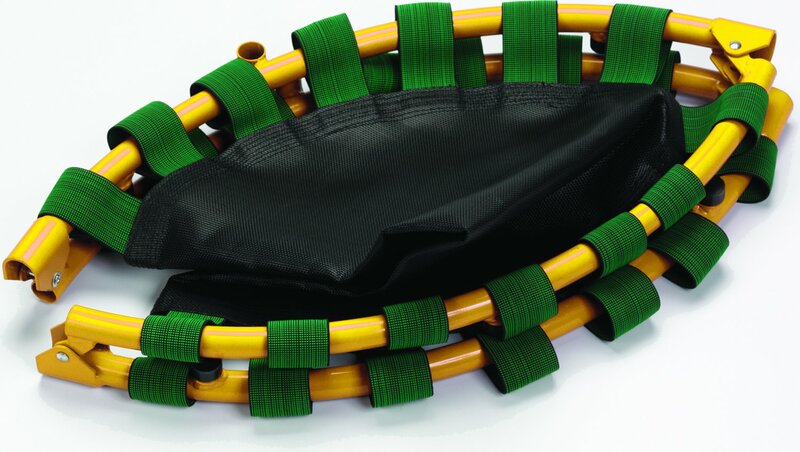 Fold and go Toddler Trampoline has two cover frames and a soft grip handle for extra safety and durable frame finish allows for indoor and outdoor use. Suitable for children up to 150 lbs weight. 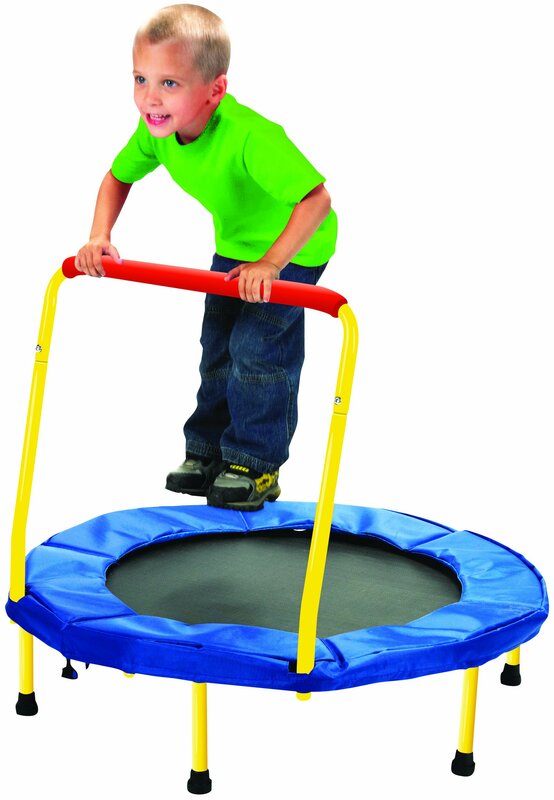 Toddler Trampoline has a 36 “diameter, suitable for you who like to travel and have active kids.